Join our contest to find the 40 Best Ideas, Tips, Trends or News at the conference. From presenters, attendees, or yourself. 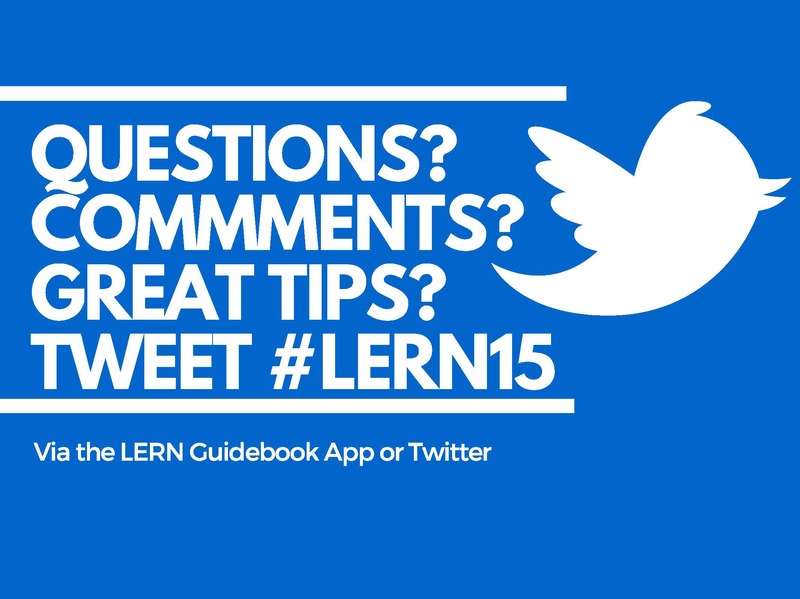 Just tweet a great tip or idea whenever you hear one at #lern15. You might win a prize!